When we program for the gym as a whole we believe a GPP program is the best way to achieve that goal. GPP is short for general physical preparedness, and it is used to improve your ability across all areas of fitness — speed, strength, endurance, flexibility, power, coordination, and so on. It is the opposite of SPP, or specific physical preparedness, which is used to increase your capacity in one area of fitness. GPP is non-biased, or not biased toward one skill or area of fitness, such as strength or gymnastics. SPP is biased, with its programming predominantly built around one area. For instance, a program that includes a strength piece before a metcon every day is biased toward strength. When we look at the gym as a whole we do our best to not bias our programming towards one particular area because not everyone has the same strengths and weaknesses. There are some who are much stronger than others, and others that have much more endurance than some. While a biased program might not be appropriate for a large group it can be extremely beneficial for the individual depending on which area of fitness he or she wishes to improve: strength, gymnastics, or endurance. 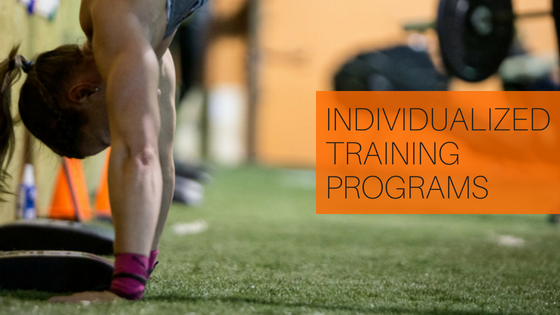 To assist those who wish to focus on one area of fitness more than another we are happy to announce our Individualized Programming Tracks (IPT). Athlete’s looking for IPT will sit down with a coach to discuss their goals, as well as their strengths and weakness to determine which of the three tracks is right for them: Strength, Gymnastics, or Endurance. Once the appropriate track is determined the athlete will begin receiving their IPT via SugarWOD along with their daily workouts. There are five individualized workouts programmed each week for each track and they all coincide with our regularly scheduled class programming so you don’t have to worry about repeating movements or workouts. IPT workouts are designed to be 20-30 minute sessions done in addition to classes. To see if Individualized Programming is right for you click here to schedule a time to meet 1-on-1 with a coach.